This post has already been read 10652 times! Miechelle McKelvey’s stroke patient, a farmer and rancher, wasn’t interested in the generic flash cards she used during his speech therapy. Hoping to help him succeed in therapy, McKelvey took a trip to the local farming supply store in search of items that would be of interest to her patient. She then created flashcards using photographs of farming and ranching tools and equipment. 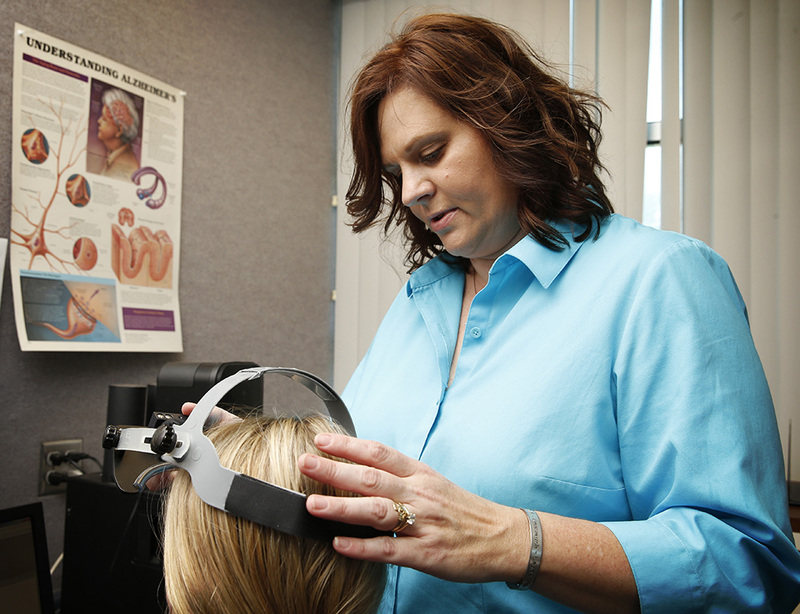 McKelvey, an associate professor of communication disorders at the University of Nebraska at Kearney, eventually began researching augmentative and alternative communication, which includes all forms of communication – other than oral speech – used to express thoughts, needs, wants and ideas. Augmentative and alternative communication (AAC) is used when we make facial expressions or gestures, use symbols or pictures, or write, according to the American Speech-Language-Hearing Association. 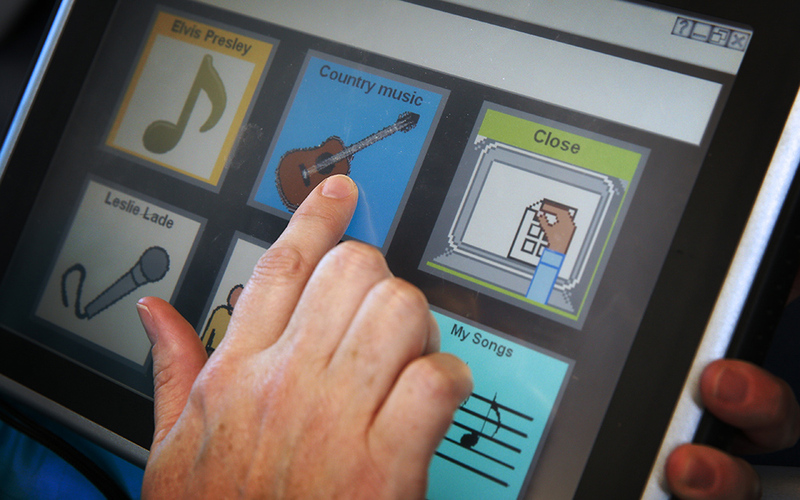 People with severe speech or language problems rely on AAC to communicate. With a newfound interest in developing easier ways for people to communicate, McKelvey enrolled at the University of Nebraska-Lincoln to earn her Ph.D. There, she began her research on AAC systems, and made it the focus of her dissertation. While working on her doctorate, McKelvey started as an adjunct professor at UNK in 2005. She became a full-time professor in 2007. It was at UNK where she began teaching students about Visual Scenes Displays, a program that helps adults who have had a stroke or other communication disorders navigate AAC systems. Previous communication systems were based on basic needs – helping a patient communicate what they wanted to eat or drink, or where they wanted to go. “My life is about more than that, so my patients’ lives are about more than that. If they still wanted to go to their church group, then they should be able to go and communicate successfully within that group. If they wanted to go have coffee with their coffee group in the morning, they should go and successfully participate in that. Visual Scenes Displays began at Pennsylvania State University but expanded to adult populations at the University of Nebraska-Lincoln while McKelvey was there working on her Ph.D.
She was part of the research team that developed the software and programming, completed research projects and published papers, including her dissertation. There are many tools available to help people with communication problems get their message across to others. Visual scene displays are one tool that may be useful to people who have difficulty using line drawings and words alone to communicate. The ability to use line drawings requires that a person attach meaning to symbols that are quite abstract at times. Visual Scenes Displays capitalize on personalized and familiar images that require less interpretation to be used. “Aphasia is a disorder of language, it’s not a disorder of intelligence. It affects an individual’s ability to read, write, speak and understand what others are saying and therefore the ability to communicate. The key is to find strategies that support how they can communicate after the stroke rather than focusing on their lack of speech,” McKelvey said. 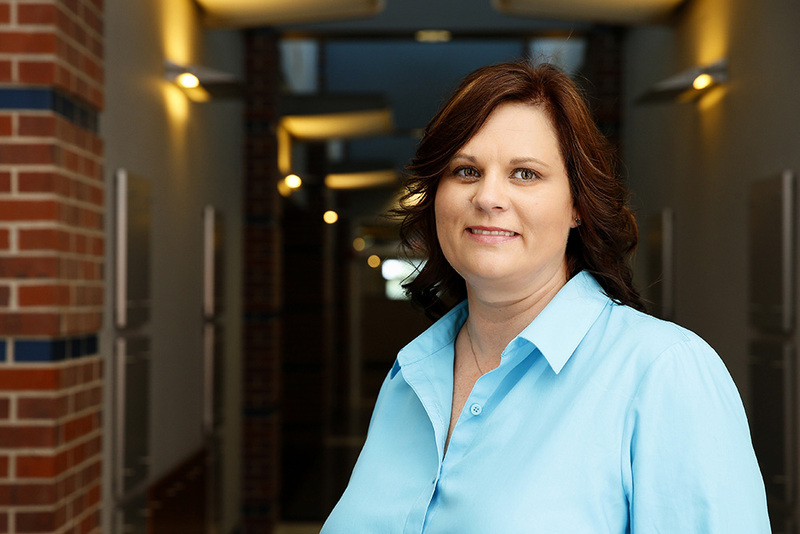 McKelvey received the Optimal Augmentative and Alternative Communication Technology for Individuals with Severe Communication Disabilities training grant from the National Institute of Disability and Rehabilitation Research to focus her research at UNK on AAC assessment. Most speech language pathologists and students graduating with a degree in communication disorders have a broad base of knowledge. Many of those individuals don’t have specific AAC experience, McKelvey said. McKelvey is focusing on four populations with communication disorders: autism, cerebral palsey, ALS (amyotrophic lateral sclerosis or Lou Gehrig’s disease) and aphasia. Through interviews, she is discovering what experts and specialists do during an AAC assessment. She and her partners will then design a protocol for general speech language pathologists to use when assessing patients for AAC systems. “There’s a big difference between what specialists and researchers do during AAC evaluations compared to what a general practitioner does. There’s a wide gap, and we want to make sure that gap is narrowed. Born in North Platte, McKelvey understands the needs of rural communities. Many patients receive their initial care in a large city like Omaha but need therapeutic services in their hometowns in a rural area. The shortage of medical providers who specialize in communication disorders in rural areas makes getting patients the care they need challenging. Sending student interns from UNK to rural areas, she said, helps encourage students to stay in rural areas to work after college. “When our students get jobs in those areas, we know we have a resource there because our students have experience in AAC,” she said. McKelvey also travels across rural Nebraska to help with AAC evaluations. Growing up in a small town has enabled her to connect with her patients. While working as a speech language pathologist before earning her Ph.D., McKelvey often treated patients from rural areas. McKelvey decided to study speech pathology while working as a paraprofessional at a developmental preschool in Wichita, Kan.
Patricia Potthoff, a speech pathologist at the preschool, encouraged McKelvey to pursue a career in the field after seeing her work with children with autism. “Miechelle just did a really fine job with them. She had a lot of patience, she followed through with suggestions I gave, and she just had a heart for the kids,” Potthoff said. The two would eventually work together again – Potthoff is now a communication disorders lecturer at UNK. McKelvey earned her undergraduate degree from the University of Nebraska at Omaha. She then moved to Kearney when her husband, Scott, got a new job. McKelvey earned her master’s degree from UNK. During her coursework, she discovered that she had a passion for working with the elderly population. McKelvey’s impact is far reaching, Potthoff said. Career: Good Samaritan Hospital, Grand Island Public Schools. Family: Husband, Scott; sons, Hayden and Collin; daughters, Haylee and Karlee. Hobbies/Interests: Cooking, watching sports, painting/decorating, swimming and reading. Honors/Awards: College of Education Research Award, 2009; Nominated for Pratt-Heins Award, 2013. Courses taught: Graduate level: Augmented and Alternative Communication, Aphasia and Related Disorders, Motor Speech Disorders, Voice Disorders, Dysphagia, Traumatic Brain Injury. Undergraduate level: Introduction to Communication Disorders, Introduction to Adult Communication Disorders.